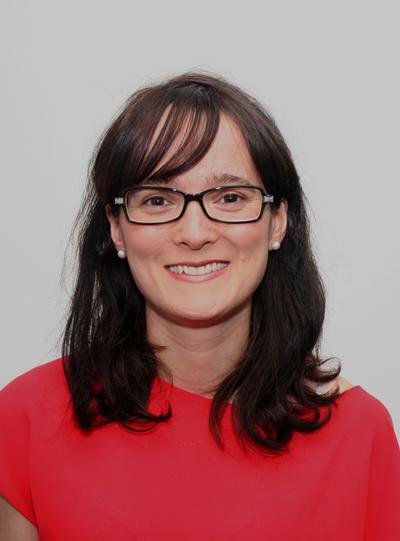 Dr Camilla Colombo is a visiting academic in Spacecraft Engineering within Engineering and Physical Sciences at the University of Southampton. I am Lecturer in Spacecraft Engineering at the University of Southampton in the Astronautics Research Group since June 2012. My research areas spaces among orbital dynamics, trajectory design and optimisation, dynamical system analysis and control, and space mission analysis and design. My current research on orbital dynamics, space debris and asteroids was driven by the participation to three research projects funded by the European Space Agency on the disposal of spacecraft in Medium Earth Orbit, the study of the effect of a spacecraft fragmentation in Low Earth Orbit and Geostationary orbit and the design of novel strategies for disposing the spacecraft orbiting in Highly Elliptical Orbits or at Libration Point Orbits. A study on the motion in vicinity of asteroids and ways to manipulate their orbits was also funded by the European Space Agency in the framework of the General Study Program. In 2013, I have been awarded a personal Intra-European Marie Curie grant from the European Commission within the Framework Program 7. This grant funded my two-year position as Marie Curie Fellow at Politecnico di Milano (Italy) on the project “Space Debris Evolution, Collision risk, and Mitigation” (SpaceDebECM). During my previous experience as Research Fellow at the Advanced Space Concepts Laboratory at the University of Strathclyde (UK), between 2009 and 2012, I have led the development of the research theme on the orbital dynamics of micro-scale spacecraft (within a project funded by the European Research Council). I gained a Master degree in Aerospace Engineering from Politecnico di Milano (Italy) in 2005 and a PhD in Aerospace Engineering from the University of Glasgow (UK) in 2010, with a thesis on “Optimal Trajectory Design for Interception and Deflection of Near Earth Objects”. During my PhD studies I worked as research assistant on an EPSRC funded research on “Optimal Interception and Deviation of Potentially Hazardous Near Earth Objects”. I currently supervise four PhD students and several internships and MSc projects on mission analysis, orbital dynamics and mission applications. The orbital dynamics of satellites with high area-to-mass ratio (i.e., satellite-on-a-chip, gossamer spacecraft, orbit debris) presents a very interesting behaviour through the analysis of the associate non-linear system. A continuum analytical approach was used to describe the evolution of a swarm of micro-spacecraft or orbit debris. The modulation of the effect of solar radiation pressure, though electro-chromic coating of the satellite, can be used as means of orbit control to allow stabilisation of a swarm of micro-spacecraft. This research looks into the interception and deflection of potentially hazardous Near Earth Objects. A general formulation of the asteroid deviation problem was developed, to model the effect on the asteroid of all the deflection strategies proposed within the space community. Some analytical expressions were derived to compute the displacement of the position of the asteroid at the point of Minimum Orbit Intersection Distance. The investigation of low-thrust and impulsive deviation techniques included also the analysis of the optimal manoeuvres in order to maximise the achievable deviation. The close proximity motion around the asteroid was studied. This considers the control of the spacecraft in vicinity of the asteroid, the control of the deflection action (i.e., direction and magnitude), and the control of the asteroid rotation to maximise the effect of low-thrust and impulsive deflection techniques. The PlanODyn suite was developed to propagate the evolution of space debris and spacecraft in a planetary environment, considering the effect of perturbations such as aerodynamic drag, solar radiation pressure, luni-solar perturbations, and full model of the Earth’s gravity field. The orbit propagation is performed through semi-analytical techniques, to consider the effect of secular and long term perturbations. PlanODyn is being applied to the identification of graveyard quasi-stable orbits and to assess the effectiveness of disposal strategies at the end-of-life (i.e., Earth re-entry, transfer to a stable orbit, Moon capture, etc.). Moreover, the disposal of spacecraft in Low Earth Orbit and Medium Earth Obit (such as the Global Navigation Satellite System) were designed exploiting solar radiation pressure and low-thrust strategies. This comprehends the mission analysis and spacecraft design. Moreover, in this framework the propagation of high-area-to-mass space debris cloud was studied after a fragmentation event in Low-Earth orbit. An analytical continuum method was exploited, based on the continuity equations, to describe the evolution of the fragment density in time and to treat the cloud as a continuum fluid. Semi-analytical techniques have a wide field of applicability to the preliminary design of space low-thrust trajectories, for the fast generation of first guess solutions for long escape or capture spirals. Different techniques for preliminary trajectory design were studied and applied to the orbit design both for impulsive and low-thrust transfers. An optimiser based on Differential Dynamic Programming (DDP) was developed for the solution of the optimal control problem associated with low-thrust trajectories. The stage-wise feature of DDP was exploited to integrate an adaptive variable step discretisation scheme within the optimisation process. The proposed approach is capable of fully exploit the multi-body dynamics of the problem (e.g., when the escape or capture phases or gravity assist manoeuvres are introduced) and assure high accuracy of the solution as indirect methods, without requiring a first guess solution for the adjoint variables. Current studies are aimed at introducing the static parameters within the optimisation process, through hybrid approaches. Multi-criteria global optimisation tools were adopted to perform the integrated design of the interception and the deflection phase of Near Earth Objects deflection missions and to perform a comparative assessment of the effectiveness of different deviation methods. The optimisation of transfer trajectories was carried out on two levels. First a global search is performed over a wide solution domain; subsequently the most promising solutions were refined through a local optimisation method. Global optimisation techniques have been applied to many engineering problems and methods to thoroughly and quickly search through a large and unconventional design space for global optima are under development. Current application of global optimisation techniques have been the design of end-of-life disposal trajectory for Herschel, Gaia, SOHO, Integral and XMM space missions. Transfer to the Moon through the Libration points were studied and the design of transfers to Lagrange point orbits. Trajectories for end-of life disposal of Libration Point Orbits (LPO) missions were analysed in the Circular Restricted Three Body Problem and then extended to the four body problem. The combined effect of natural perturbations in the Earth environment was investigated and engineered to design non-Keplerian exploitable orbits for future mission concepts for swarms of small satellites for science, Earth observation and telecoms, geo-engineering, passive orbit transfer and solar radiation pressure enhanced deorbit. Feedback control of spacecraft through morphing structure are being developed through a Hamiltonian-structure-preserving control. Spacecraft on Libration Point Orbits can be controlled by exploiting the effect of solar radiation pressure through some morphing structure on-board the spacecraft. Both strategies for orbit control and technological solutions for the spacecraft structure are under analysis. Different options for asteroid deflection were analysed: kinetic impactor, nuclear interceptor, mass driver device, low-thrust attached propulsion, solar collector, and gravity tug. A Near Earth Object mitigation mission requires the integrated design of the interception and deflection phases, according to contrasting drivers, such as total mass of the spacecraft into orbit, the total time of the mission, maximum deflection, and strategy technology readiness. The two phases of the mission were modelled and an extensive search for all mission opportunities was carried out, through multi-criteria optimisation techniques. Space-based systems can integrate ground-based detection of Near Earth Objects (NEOs) that approach the Earth from the Sun direction. The feasibility of a constellation for NEOs detection from a family of Distant Periodic Orbits (DPOs) in the Sun–Earth system was studied. A map of DPOs around the Earth in the circular restricted three-body problem was constructed and the added coverage region within the exclusion zone of current Earth-based systems, when the spacecraft is at the inferior conjunction at a distance larger than the Earth–L1 distance, was assessed. Then, a four-spacecraft constellation was designed. The use of deployable structures for the control of spacecraft at the end-of-life is being investigated to exploit the effect of solar radiation pressure. 2009 – 2012: Charlotte Lücking, “Dynamics and control of high area-to-mass spacecraft and applications”, University of Strathclyde. 2011 – 2012: Garrie Mushet, “Self-organising swarm control for Earth observation and telecoms”, University of Strathclyde. This grant funded my two-year position as Marie Curie Fellow at Politecnico di Milano (Italy). This project investigates the orbital dynamics of space debris through semi-analytical models of their motion under the effect of orbit perturbations. This allows a deeper insight into orbit debris evolution under the effect of natural orbit perturbations in the Earth environment and the identification of resonance and quasi-equilibrium orbits for space debris objects. The definition of these orbits will potentially suggest novel ways of active debris removal by identifying natural sinks orbit where debris can be naturally collected. Moreover, techniques previously developed for the deflection of Near Earth Objects are being extended to design optimal trajectories for interception and deflection or active removal of space debris. This project is allowing me to strengthen many collaborations within Europe institutions and USA. Some of the techniques developed are being applied to some studies for the European Space Agency. I was principal investigator for the University of Southampton and leader of the whole consortium composed of the University of Southampton, SpaceDyS (Italy) and the University of Strathclyde (UK). This study focused on the design and optimisation of trajectories for the disposal of Libration Point Orbit and Highly Elliptical Orbit missions exploiting the effect of the multi-body dynamics and orbit perturbations. We designed several options for disposal of some selected ESA missions: INTEGRAL, XMM, Gaia, SOHO, Herschel, LISA Pathfinder. The success of the study was demonstrated by a follow-on study extension awarded by ESA to look at the disposal trajectory analysis for the Gaia mission. I was instead Co-Investigator for the University of Southampton for the ESA project on “Disposal strategies analysis for Medium Earth Orbits”. I was responsible for the study of the effects of solar radiation pressure and low-thrust propulsion on Galileo GNSS constellation, in collaboration with the University of Strathclyde. ”CubeSat low cost Inter-Orbit Transfer Demonstrator”, UK Space Agency. Project framework: UK National Space Technology Strategy theme for Access to Space and ‘inter-orbital transfer’. Investigation of novel mission concepts for passive (solar and drag sail) and hybrid (low-thrust and solar sail) transfers of CubeSat from LEO to GTO, to increase CubeSat launch opportunities. First technology demonstrator proposed for low cost CubeSat in-orbit transfer. Role: responsible of mission analysis of the GTO to LEO passive transfer. I have been involved in other projects such as the European Student Moon Orbiter Mission lead by the European Space Agency and the six editions of the Global Trajectory Optimisation Competition organised by the Advanced Concepts Team of the European Space Agency. Colombo, C., Wittig, A., Letizia, F., & Armellin, R. (2015). Density of debris fragments through differential algebra and averaged dynamics. In R. Furfaro, S. Cassotto, A. Trask, & S. Zimmer (Eds. ), Spaceflight Mechanics 2015 (pp. 1569-1588). (Advances in the Astronautical Sciences; Vol. 155). American Astronautical Society. Somma, G. L., Colombo, C., & Lewis, H. (2017). A statistical LEO model to investigate adaptable debris control strategies. Poster session presented at 7th European Conference on Space Debris, Darmstadt, Germany. Somma, G. L., Colombo, C., & Lewis, H. (2017). A statistical LEO model to investigate adaptable debris control strategies. In T. Flohrer, & F. Schmitz (Eds. ), Proceedings 7th European Conference on Space Debris, Darmstadt, Germany, 18–21 April 2017, European Space Agency (ESA). Trisolini, M., Lewis, H., & Colombo, C. (2017). Demisability and survivability multi-objective optimisation for preliminary spacecraft design. In Proceedings of the 68th International Astronautical Congress [IAC-17.A6.IP.35] International Astronautical Federation. Letizia, F., Colombo, C., Lewis, H., & Krag, H. (2017). Extending the ECOB space debris index with fragmentation risk estimation. In 7th European Conference on Space Debris: 17 April 2017 - 21 April 2017, Darmstadt, Germany European Space Agency (ESA). Somma, G. L., Lewis, H., & Colombo, C. (2017). Increasing ADR effectiveness via an altitude-shell-dependent removal approach. In 68th International Astronautical Congress 2017 [IAC-17.A6.IP.36x37651] International Astronautical Federation. Colombo, C., Letizia, F., Trisolini, M., Lewis, H. G., Chanoine, A., Duvernois, P-A., ... Lemmens, S. (2017). Life cycle assessment indicator for space debris. Paper presented at 7th European Conference on Space Debris, Darmstadt, Germany. Trisolini, M., Colombo, C., & Lewis, H. (2017). Multi-objective optimisation for spacecraft design for demise and survivability. Paper presented at Stardust Conference on Asteroids and Space Debris, Netherlands. Trisolini, M., Colombo, C., & Lewis, H. (2017). On the demisability and survivability of modern spacecraft. In T. Flohrer, & F. Schmitz (Eds. ), 7th European Conference on Space Debris European Space Agency (ESA). Somma, G. L., Lewis, H., & Colombo, C. (2016). Adaptive remediation of the space debris environment using feedback control. Paper presented at 67th International Astronautical Congress (IAC), Mexico. Trisolini, M., Colombo, C., & Lewis, H. (2016). Demise and survivability criteria for spacecraft design optimisation. In 8th IAASS Conference: Safety First, Safety for All: Proceedings of the 8th International Association for Advancement of Space Safety Conference (pp. 483-493). International Association for the Advancement of Space Safety. Lidtke, A. A., Gondelach, D. J., Armellin, R., Colombo, C., Lewis, H. G., Funke, Q., & Flohrer, T. (2016). Processing two line element sets to facilitate re-entry prediction of spent rocket bodies from geostationary transfer orbit. Paper presented at International Conference on Astrodynamics Tools and Techniques, Germany. Trisolini, M., Lewis, H., & Colombo, C. (2016). Spacecraft design optimisation for demise and survivability. In 67th International Astronautical Congress (IAC 2016): Making space accessible and affordable to all countries (Vol. 3). International Astronautical Federation. Rossi, A., Alessi, E., Valsecchi, G. B., Lewis, H., Colombo, C., Anselmo, L., ... Merz, K. (2016). The effect of the GNSS disposal strategies on the long term evolution of the MEO region. Paper presented at 67th International Astronautical Congress (IAC 2016), Mexico. Letizia, F., Colombo, C., & Lewis, H. G. (2015). 2D continuity equation method for space debris cloud collision analysis. 25th AAS/AIAA Space Flight Mechanics Meeting, United States. Letizia, F., Colombo, C., & Lewis, H. (2015). Density based approach for collision risk computation. Paper presented at 25th International Symposium on Space Flight Dynamics, Germany. Trisolini, M., Colombo, C., & Lewis, H. (2015). Survivability and demise criteria for sustainable spacecraft design. In 66th International Astronautical Congress 2015 (IAC 2015): Space - The Gateway for Mankind's Future (Vol. 4, pp. 2505-2523). International Astronautical Federation. Letizia, F., Colombo, C., & Lewis, H. G. (2014). Analytical model for the propagation of small debris objects after a fragmentation event. Paper presented at 24th AAS/AIAA Space Flight Mechanics Meeting, United States. Letizia, F., Colombo, C., & Lewis, H. (2014). Continuity equation approach for the analysis of the collision risk due to space debris clouds generated by a fragmentation event. Paper presented at 65th International Astronautical Congress, Canada. Wittig, A., Colombo, C., & Armellin, R. (2014). Density evolution of high area-to-mass objects using semi-analytical and differential algebra techniques. In 65th International Astronautical Congress 2014, IAC 2014: Our World Needs Space (Vol. 7, pp. 4599-4609). International Astronautical Federation, IAF. Wittig, A., Colombo, C., & Armellin, R. (2014). Density of high area-to-mass objects in geostationary and medium Earth orbits through semi-analytical equations and differential algebra. 1-11. Paper presented at International Astronautical Congress, IAC 2014, Canada. Alexander, W., Armellin, R., Colombo, C., & Di Lizia, P. (2014). Long-term orbital propagation through differential algebra transfer maps and averaging semi-analytical approaches. In paceflight Mechanics 2014 (pp. 339-357). Univelt, San Diego. Letizia, F., Colombo, C., & Lewis, H. G. (2014). Small debris fragments contribution to collision probability for spacecraft in Low Earth Orbits. 7th IAASS Conference, Germany. Letizia, F., Colombo, C., & Lewis, H. G. (2013). Space debris cloud evolution in Low Earth Orbit. Paper presented at 64th International Astronautical Congress, China.